There are many benefits of having pet insurance for your dog or your cat and this is why pet health insurance is becoming increasingly popular in this day and age. A part of being a pet owner is the responsibility of taking care of your pet and loving them as part of your family. Bringing your pet to the veterinarian for yearly vaccinations and check ups is vital so your pet can live a long healthy life with you and your family. Unfortunately the cost of going to the vet is rising all the time, much like your family health insurance. Pet medications and treatments have come a long way nowadays and a lot of them are just as sophisticated as some of our human medications. When your dog or cat becomes sick sometimes it might end up costing a good deal of money, and with budget restraints many people have this can sometimes be tough. When you buy pet insurance you can save yourself a lot of money in the long run since pet health care insurance is very reasonably priced, usually in the range of $100 - $500 per year, depending on your pet’s age and condition. What you spend yearly on pet insurance could easily be spent in one trip to the vet, especially if your dog or cat has been in some kind of accident or has developed an illness. 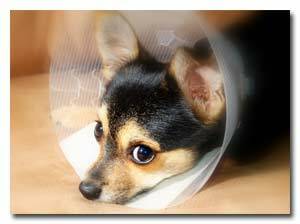 As a responsible pet owner this is something everyone will have to face at one time or another and having your pet covered by insurance can greatly ease the many burdens that can come with a sick or injured pet. Many dogs and cats are euthanized every year because their owners cannot afford to cover the costly veterinarian bills associated with and accident or illness with pet insurance you can be assured you do not have to worry about the costs since the majority of them will be reimbursed to you. Pet insurance policies are usually very simple to understand as well, much unlike our own health plans. There are also many different kinds of pet insurance plans, all depending on your pet. The way most pet health plans work is after you take the animal to the vet you simply submit your bill to your pet health care insurance provider and they will reimburse you usually around 80% of your bill. You can check around and compare pet insurance plans to find the best fit for you and your pets and then your mind can be a little more at ease knowing they are safe and protected. Being a pet owner is a big responsibility and doing this for your pets will help ensure that they can always get the best care available for them and they will be with your family for many years to come. Thank you to Pet Best Insurance for this article on the benefits of pet insurance.